The World Halal Council (WHC) is a World Body being a federation of halal certifying bodies worldwide after gaining international and global acceptance to their halal certification and accreditation processes. 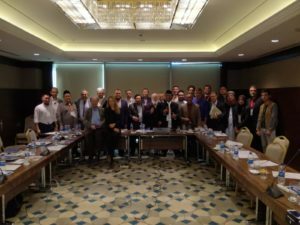 The World Halal Council was established in Jakarta in 1999 in order to standardize the halal certification and accreditation process among member organizations representing the different countries and nationalities worldwide. Originally, this organization was initiated by certifiers from the following countries: Indonesia, United States, Australia and Holland. The first president of the council was Prof. Dra. Aisjah Girindra of the LPPOMUI of Indonesia and the first Secretary-General was Br. Hj. Abdullah Fahim Ab. Rahman of IFRC, Malaysia, then followed by Dr, Ali Chawk of Australia then followed by Dr. Mohd., Sadek of IFANCA – USA, on 2007, President was Br. H.M. Nadrattuzzaman Hosen, Secretary General Abdul Rahman T. Linzag, on 2008, President was Br. H.M. Nadrattuzzaman Hosen, Secretary General Abdul Rahman T. Linzag, on 2009, President Lukmanul Hakim, Secretary General Abdul Rahman Linzag, on 2010, Lokmanul Hakim and general secretary Abdul Rahman Linzag, President Bro. 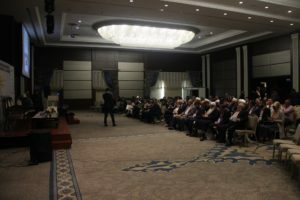 Thafier Najjar and General Secretary Mohamed El-Mouelhy and as honorary president GIMDES Chairman Dr. Huseyin Kami BUYUKOZER was formally elected last October 2011 after the ratification and adoption of the present Charter of the World Halal Council. The WHC was first registered in Jakarta, Indonesia and again registered as a World Body in Kuala Lumpur, Malaysia. In fact, it took the WHC nine (9) years to be able to formulate, ratify and adopt the charter of the WHC. The By-Laws was finally approved in the year 2005 in Cape Town, South Africa. As it is, the WHC is the only reliable source of information for a genuine world halal standard and that its members are expected not merely to observe the world standard approved by the General Assembly of the WHC but also to enforce the same within their jurisdiction. Halal Certification started in the West in the mid ’60s in the United States by Muslim food and technical experts. It did not actually start in the Muslim countries but it came as a necessity for Muslims living in non-Muslim society such as the United States, Europe and in some parts of Asia and the Pacific. This practical safety measure of Muslims living in non-Muslim societies to preserve their Muslim identity and fulfill their religious obligation became a useful tool to guarantee that the products produced in non-Muslim countries are acceptable to the Muslim world. When globalization became a direction of the world trading system which removed the barriers from one country and another, there was no more safety device that can prevent the importing country from accepting products from the other for quite some time. It was observed that the Jewish people which are fewer in numbers than the Muslims are enforcing their religious requirements on products to be acceptable to them through their certification and accreditation called the “kosher”. So Muslims in the United States started to follow the precedent established by the Jews in the U.S. so the establishment of the halal logo, although different from what we have now to those that are considered “halal”. The “halal” logo has therefore become a marketing advantage for the products marketed to the Muslim world and among Muslim communities, including the Jewish communities. Since Halal Certification is already in place in some advance Muslim societies living in the West importing countries like Saudi Arabia, Malaysia, Indonesia, Brunei and others can only rely on those certifications made by the accepted credible certifying bodies that were already in place during those times until the passage and inclusion of halal into the United Nations Codex Alimentary in the year 1998 or thereabouts. But even during those times, most Muslim countries such as Saudi Arabia and the Gulf States and others were merely focused on meat products as an important product to be certified as halal for the reason that the meat halal slaughtering is made mandatory to all Muslims by the Holy Qur’an and the Sunnah of the Prophet. As a matter of fact, even today, in some Muslim communities among the Arab countries, halal logo to them is important only on meat products. This is of course, was due to their limited understanding of the modern technology in the manufacture of food products. But the use of internet, text messages and the Friday sermons in various mosques everywhere have given the Muslims consciousness of what they should observe. This misunderstanding was changed when some countries like Saudi Arabia, U.A.E., Turkey, etc., attended the WHC meetings. Halal Certification did not stop on the food products. It is also important in non-food products including personal care, utensils, fashion and clothing’s, shoes and the like and lately halal certification is now made mandatory to animal and poultry feeds, packaging materials such as tin cans, drums, plastic bottles and the like which are in contact with the halal quality products. This is because the halal quality products has to be safeguarded from contamination and the principal contaminant of the product other than the raw materials and ingredients, if any, would be the packaging materials which come in contact with it; even the storage facilities, delivery vans and the like. Our very own IDCP became a member of the WHC in the year 2000, after its processes, procedure and qualification gained in a global stand. Although IDCP started as a Da’wah national Islamic Body being registered in 1982 as a religious organization, with its welfare, scholarship, Radio and publication programs nationwide, it started its Halal Certification function in 1987. On July 9, 2003, the Supreme Court issued a judicial Ruling (decree) that IDCP is the official Halal Certifying body to determine products that are acceptable to Muslims everywhere. It is also the only certifying body in the Philippines which is accepted to authenticate products for the Arab world, U.A.E., K.S.A., Malaysia, Indonesia, Brunei and the only member of the World Halal Council (WHC). The halal requirement was originally thought to be only for Muslims but in reality the Jews are also patronizing halal products because they are also prohibited to consume products which Muslims are also prohibited. Therefore, the general population of the world regardless of their religious belief especially by people who are conscious of their health, or are therefore having dietary programs to maintain good health would prefer halal certified products to those which are not. 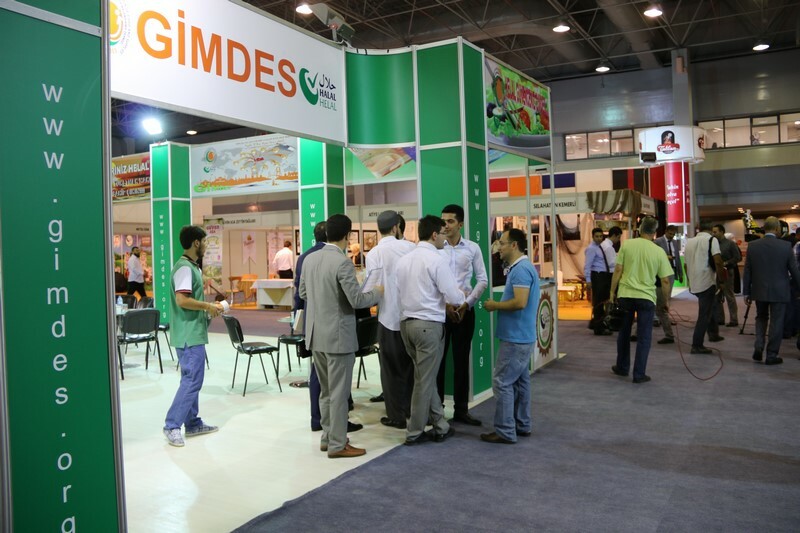 The Dubai exhibits estimates halal market to be US$3.2. Trillion dollars annually; whereas, Malaysian experience also estimates on the Malaysia target to be between 500 – 600 million of U.S. dollars annually. This is because, in reality, halal certification did not stop only on food and non-food products, but it also includes services such as logistics, hotels, restaurants and many others. Unfortunately, despite this abundance of opportunities for halal products, most of us in this country, think of halal business in terms of halal certification, instead of the production of halal raw material and ingredients which could be accepted globally. As a result, we may have many Halal certifiers than the Halal certifiable products. It is hoped that various departments of our government could really look into the production of halal products and raw materials such as halal certifiable animals like goats, sheep’s, cow, buffalo and others rather than piggery and other non-certifiable products because members of the WHC are always consulted as to where to get abundant supply of halal raw materials such as halal gelatin, medicine, feeds and the like. In fact, we are the one importing these products and raw materials for the processing of our products instead of us producing them.